Professional cleaning services has become more and more popular within the recent years among banks, factories, schools, restaurants, stores and warehouses. Professional companies perform cleaning of various areas – from tiny apartments or simply carpet cleaning, to cleaning the facades of huge shopping centers or deep cleaning at the restaurant or factory premises. Inviting the cleaning specialists, we want to get quality services for a reasonable price. To ensure that the expectations are 100% met, you need to know what to look for when choosing a cleaning company and what problems can be hidden behind surprisingly low prices. What needs to be considered when choosing a company, so as not to waste your money and time? Let’s try to enumerate the main points from which to start. Nowadays cleaning services are offered by many companies. Pay attention first of all to those who have their own office (clean office! ), beautifully designed and well-filled web-site, a significant period of work in the market of services. A well-proven company will always take care of its image and reputation! Even now, at the modern age of technologies, valuable and worthwhile experts are “passed from hand to hand”, by sharing contacts with friends and relatives. To learn the impressions of a friend about the work of a particular company is always valuable, because he certainly will not deceive! If this is not possible – read the reviews on the level of services provided on the company’s website. Do not hesitate to clarify with the manager, with the help of what equipment is cleaning performed: household vacuum cleaners are out of place here! Find out which cleaning agents and detergents are used and of which manufacturers, and whether there are certificates on them. A solid company usually buys products from the same suppliers, and uses 2-3 proven brands of “chemical agents”. In a good company, all employees undergo compulsory training: the more extensive is their professional knowledge, the better result will be obtained by the client. At work, cleaners should be given special clothing, all necessary equipment and cleaning agents for various surfaces. The large company offers a wide range of services – from the daily cleaning to deep cleaning, from dry cleaning to washing facades with the use of industrial climbers, from maintenance of the adjacent territory to cleaning roofs from snow and its subsequent removal. Of course, it is much more profitable to entrust all the necessary work to one company than to several different services. From the available offers choose the average cost of services. The understated price should alert you (but not in case when it comes to discounts! ), unreasonably high price is often not justified and gets driven up for the brand. Find out how pricing is done, what bonuses are received by a regular customer. Step 1. Chose several companies working in your city, focusing on prices, reviews and its reputation. Call the managers asking for an estimate of the costs for the necessary services. Please note that prices vary depending on the size of the room, the level of its pollution and the amount of work ahead! Step 2. Settle upon 1 or 2 companies interesting for you and arrange a meeting with a specialist – he/she will assess the state of your house or office, recommend the most appropriate type of cleaning and make an estimate. Be sure to find out whether the removal of garbage is performed outside of the territory (especially important for large office buildings, after repairs in an apartment or a country house). Step 3. If everything suits you, conclude a contract with the cleaning company. Make sure that it contains a paragraph on compensation for damage caused by employees during the cleaning process or because of their lack of professionalism when choosing cleaning products! Step 4. Assess the appearance and behavior of the workers who arrived, their provision with inventory and cleaning agents. When accepting the performed work, pay attention to the cleanliness of hard-to-reach places and the quality of delicate surfaces cleaning. When choosing a cleaning company, consider a number of requirements that are important for you. The concept of cleanliness for each person is different, and the cleaning company must have the highest requirements in the first place to their employees and the quality of their work. The successful choice of a cleaning company is, first of all, a guarantee of cleanliness and safety of your property. Use the knowledge obtained from this article not to waste your money and not to be disappointed in your decision! A supermarket is, first of all, a huge store of products. It is from the shelves and counters of supermarkets and hypermarkets that food gets to the tables and into the consumers’ refrigerators. What a “food house” should look like, so that, for example, a mother was not afraid to buy fruits in it for her kids? The main condition is of course cleanliness. The confidence of buyers is easy to win, if everything, what they will touch in a store, will be clean and tidy, especially it regards the shelves, as well as surfaces where the food products are placed. Cleanliness and hygiene must be maintained in a supermarket, the surfaces are simply obliged to sparkle: there should be no extraneous smells, mold, insects. It is quite difficult to maintain a big premise, which is visited by an uninterrupted stream of people, clean on your own account. To do this, it is necessary to have a full-fledged cleaning service, which will work practically 24 hours a day. However, in this case, it is necessary to recruit employees, whose work should be organized in 3 shifts! And there is a big question of staff turnover and replacement of employees: one can feel ill, one didn’t come to work, and so on. At the same time questions of purchase and proper storage of detergents are added, as well as many other issues, the result of which will be cleanliness in a store. All these nuances are professionally and quickly decided by a specialized cleaning company. During the day, several employees or a dozen of employees (depending on the size of a store) should be constantly cleaning the premise, as people, coming in from the street, bring dirt and dust on their shoes. Therefore, floors need to be cleaned several times a day. In addition, you need to consider weather conditions: in snow or rainy weather, cleaning should be more intensive and frequent. Also, in case of unforeseen situations (visitors or employees of the trading floor have broken or scattered something, the promotion has ended and it is necessary to sweep up/wash the floor, etc. ), an “on-hand” cleaner is needed, who will promptly collect garbage and wash the contaminated surfaces. 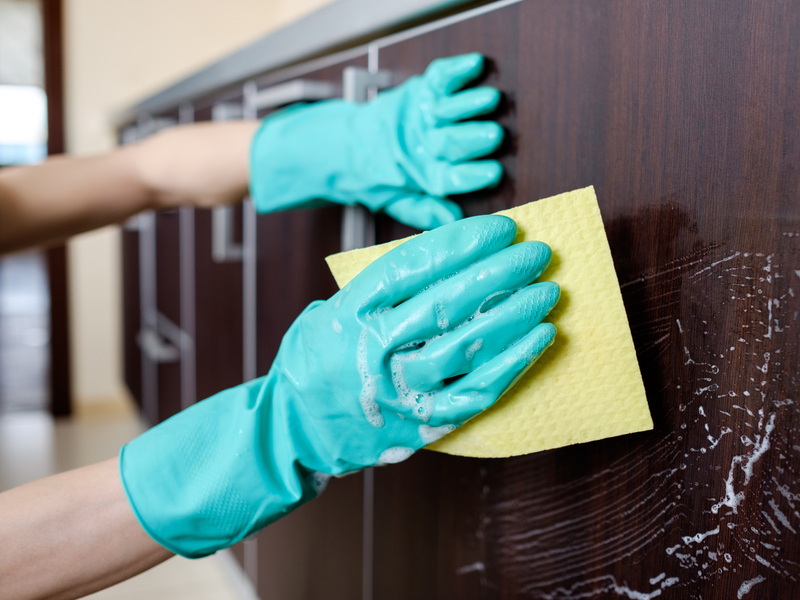 It is unlikely that customers will like the dust on the shelves or the remnants of some products, so every day you need to wipe the surfaces of all the display windows and counters. In addition, all glass and metal surfaces should be polished regularly. Particular attention should be given to the entrance: doors, rugs and steps near the entrance must be clean and safe; a regular replacement of dirt-absorbing carpets at the entrance should be done. In addition to those premises that are accessible to visitors of the store or shopping center, warehouse, production and technical premises should also be kept clean at the highest level. Therefore, the cleaning should also be done there. But daily surface cleaning is not enough. It is necessary to carry out a high-quality deep cleaning that will help to prevent odors on the packaging of goods in the warehouse, which will include washing the kitchen, taking care of removing pests and rodents in time, ventilating the premise, washing the ventilation grilles, etc. The recommended frequency of deep cleaning is once per week. During this time, it is possible to eliminate contaminations, sources of goods’ spoilage and foreign odors, in order to ensure the permanent presentable appearance of goods on the shelves. Most common the cleaning in stores and supermarkets is carried out at night, when the store does not work or the number of visitors is minimal. It is quite important to systematically clean out the trading floors: clean all floor coverings, perform disinfection, remove dirt from hard-to-reach places, wash windows and walls. 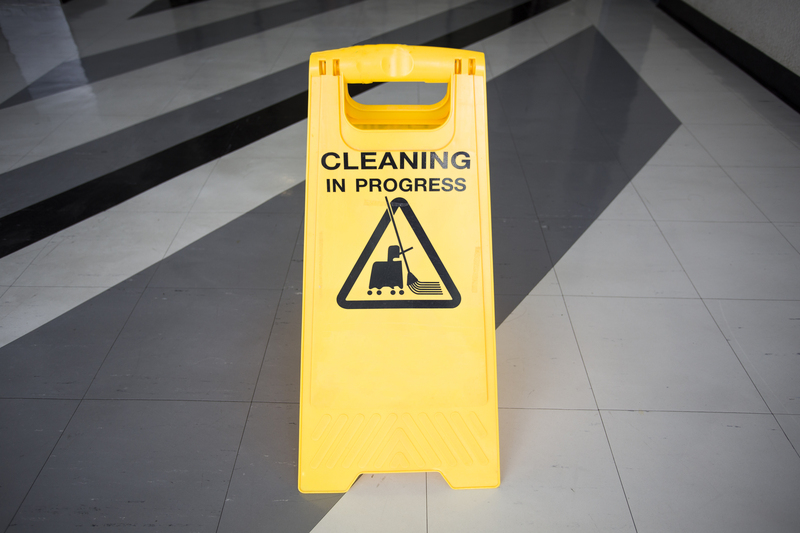 Deep cleaning, held with a clear periodicity, will not only help to keep the premises and trade halls clean, but will also postpone the time for carrying out repair works, since the surfaces contained in the cleanliness serve much longer and require repair and replacement much less often. In case if the store as just going to be opened, another type of cleaning service, required for the supermarket, is a post-construction cleaning. 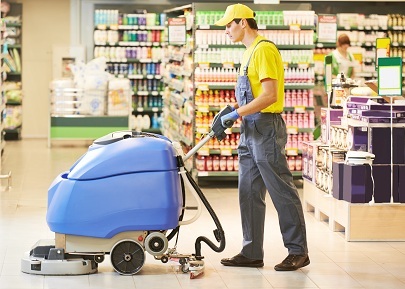 Post-construction cleaning in a supermarket allows you to bring the walls, windows, ceilings, floors and surfaces of commercial equipment in absolute order, so that there are no traces of building materials and specific smells. It is at the opening stage of the store that it is important to calculate the need for daily cleaning and deep cleaning, selecting the appropriate cleaning company as a contractor. This will allow you to focus on direct business management, rather than the issues of dirty windows or floors. Why are the cleaning companies, whose work on the market of cleaning services is ten years or more, are preferable to the “newcomers”? Throughout the years of their work they create a team of specialists, acquire the priceless experience, and most importantly – they gain reputation. Such a cleaning company knows, and which is most importantly – follows the accepted norms and standards for cleaning at sites that have different specifics – factories, offices, living quarters and stores. Very often such companies have a supply department that buys cleaning accessories, equipment and cleaning chemicals directly from the manufacturer, which is a huge advantage. Thus, consumables are obtained with a minimum mark-up and cleaning costs, respectively, are also reduced. While those who purchase goods through intermediaries put a much higher price tag to their cleaning services. Qualified managers in the shortest possible time can calculate the cost of cleaning because they know how many cleaners, floor washing machines, brooms, cleaning agents and even toilet paper in the bathrooms it is necessary to estimate for each object. A thought may appear, that such companies from the beginning of their existence apply the same cleaning methods. But of course it’s not true; there are classical cleaning technologies that are always effective and relevant. However, the success of ”long-playing” cleaning companies is a constant increase of the skill- level of their cleaners, the application in practice of various market innovations combined with competent personnel management. With many years of successful practice in this field, Pro Quality Office Cleaning Company can offer you affordable prices and excellent cleaning quality, performed by trained skilled professionals. MORNING OR EVENING OFFICE CLEANING – what to chose? Office premises are the main place of any company at which the workers and employees spend most of their working time. In these premises in addition to the staff there are a lot of visitors, business partners, which entails additional pollution. For proper organization of the personnel’s productive work, company administration should take care of timely high quality cleaning of the premises. For the office to make a favorable impression on visitors and partners, to be comfortable and cozy, the question remains of daily cleaning. Some business owners include the cleaners into the staff team, so that they could clean the office up. However, as practice shows, such action is not always expedient. 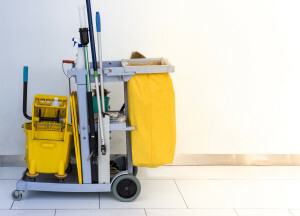 These employees typically have the same working schedule as everyone, so cleaning is carried out during working hours of the whole office staff that interferes and sometimes even stops the production process of the entire office. To perform cleaning works, the administration should take care of providing the cleaners with high-quality cleaning equipment, protective clothing, and various detergents. These efforts deliver too much trouble, waste time and money for the organization of the cleaning process. To avoid such troubles, you should contact a specialized company that provides professional cleaning services for offices. First of all, you need to decide on the time of cleaning. Many people like it better when the morning cleaning of offices is held and by the beginning of the working day the office is shining with cleanness and smells fresh. The office team works in a comfortable environment, nothing distracts from the production process. Evening cleaning of offices is carried out by experts of a cleaning company after the end of the working day, when the premises are already vacated by employees and visitors. All rubbish, dirt and dust that has accumulated over the business day, are removed by means of special agents and equipment. To carry out cleaning works high-quality detergents and cleaning agents are used, which ensure the provision of crystal cleanliness. Taking care about health and welfare of the office staff, about their comfort, the ecologically-friendly means are used during cleaning. Having sufficient experience in the use of various detergents, cleaning company chooses quality materials with low price. This approach reduces the cost of cleaning works, which significantly saves the customer’s budget. If the working peculiarity of an office is a work activity during the evening time, the morning is more preferable. In this schedule, the employees usually start working day not very early, which makes it possible to conduct high-quality cleaning activities in the early morning. After such cleaning office meets its employees, customers and visitors with purity and freshness. For companies, whose working day begins in early morning, evening cleaning of the office is optimal. Workers of the cleaning companies are ready during the evening time to restore the order and prepare the office for the early working morning of the next day. No household trifles will distract the company staff from carrying out their job assignments. For the successful solution of office problems and achievement of success in business, you must completely devote yourself to production process, without being distracted by such things as office cleaning. Trusting the cleaning in the office to professionals you will reach the productive heights. WHY DOES YOUR BUSINESS NEED THE SERVICES OF CLEANING COMPANIES? Cleaning companies can efficiently and comprehensively solve issues for businesses concerning cleaning the business territory, office cleanliness, maintaining an appropriate level of cleanliness and even the timely management of all sorts of wastes and garbage. Business structures are the ones who most commonly involve (pay for) services of cleaning companies. It is also worth mentioning that quite often industrial and commercial enterprises after the conclusion of the contract on the usual periodic cleaning, after considering the whole range of possible benefits from such cooperation, move on to more intensive cooperation with a cleaning company. For example, they hire the specialists to prepare the rented premises for holding various business events or corporate entertainment events, followed by cleaning the place of the event. Cleaning companies are always ready to provide services in quick or deep cleaning of premises, such as cleaning the windows, getting rid of dust, bringing the flooring in a perfect state, keeping bathrooms perfectly clean, etc. And after all representatives of any business understand like no one else, that order and cleanliness can be used to create a good atmosphere in the team and improve working efficiency, and this opportunity should always be used. - cleaning and disinfection of premises, including industrial ones. Customers can order both, a comprehensive performance of works, and carrying out one-time cleanings. Fast performance of works and their high quality determines the level of a specialized company. -reduction of risk of unfair provision of services and preservation of property – addressing to a professional team reduces the likelihood of property damage, poor performance of works or theft of valuable things, than a one-time involvement of individuals to perform such works. Wherever a person is staying – at home, at work, on vacation, or at other public facilities, everywhere the proper cleanliness and order should be constantly maintained. It is well-known and has been proved long time ago by advanced Institutes of Health and the world-renowned scientists that cleanliness is a guarantee of human health. Every possible kind of contaminations do not only spoil the environmental background, aesthetic appearance of the interior, leave bad impressions in people from untidy rooms, but are also centers of concentrations of allergens and various pathogenic bacteria. Only the timely and proper cleaning of all rooms ensures a healthy atmosphere and a pleasant view of the surroundings. You may carry out the cleaning works yourself, spending on it a lot of your effort and precious time, herewith cleaning the way you know it (which is not always the right way). But if the question is about a higher quality cleaning, then it is necessary to apply to professionals, whose daily work is aiming at absolute cleanness at the premises and buildings of any type and designation. Such cleaning can be provided only by specialized cleaning companies, with a staff of qualified cleaners using professional products for cleaning of various surfaces, as well as modern expendable materials and necessary equipment. There are different types of cleaning; the main ones are the general (deep) cleaning, daily cleaning, and cleaning after repair. Each of the listed has its own peculiarities and is applicable to the cleaning of apartments, houses, offices and other residential and social facilities. Each type of cleaning is individual, includes a set of standard, obligatory services – it is usually dry and wet cleaning of floors, dry or wet wiping of all surfaces of the interior and household appliances, cleaning of toilets, bathrooms, washing of standard windows and window sills, skirting boards, doors. A number of major additional services performed at the request of premises’ owners, includes dry cleaning of various upholstered furniture, washing of non-standard windows and various glassing, wiping of the inner surfaces of cabinets, mezzanines, wardrobes, washing of the inner surfaces of the kitchen and other household appliances, and much more. There are a lot of chemical agents, both multipurpose and used for cleaning of certain surfaces or objects. 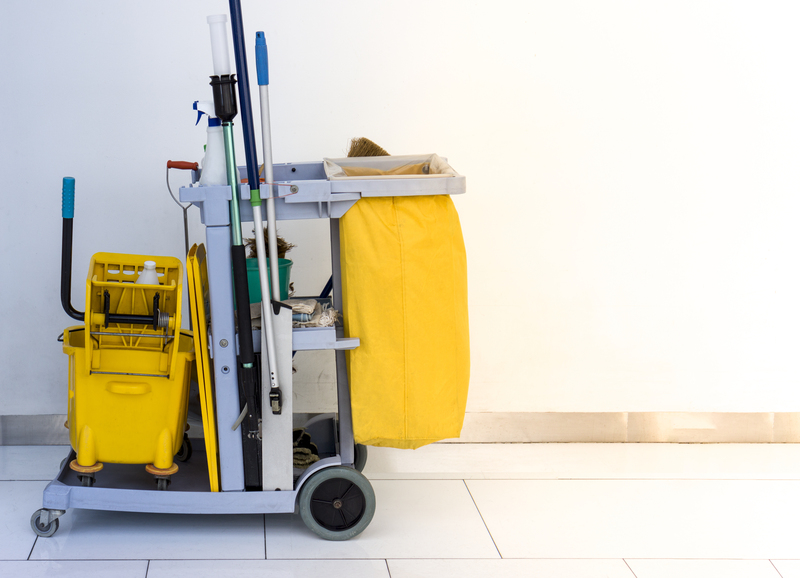 Diligent cleaning companies as a rule use the most advanced, environmentally friendly, professional chemical agents; regularly improve the skills of their workers, which allow obtaining high performance and achieving the ideal cleanliness in serviced areas. If you are looking for a team of skilled professionals to perform the cleaning works at any facilities of your business - Pro Quality Office Cleaning is just the best choice for you! We work hard to make your visitors feel comfortable and happy with what you are doing. 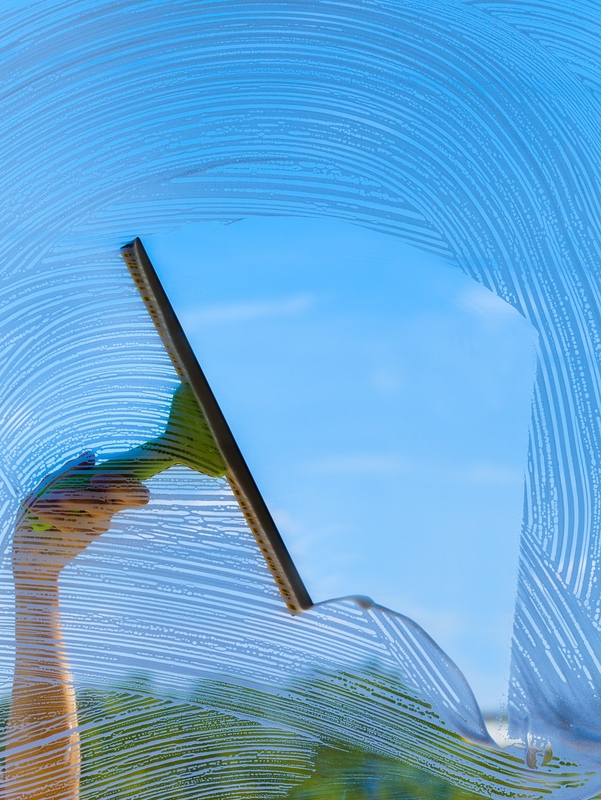 Clean Windows in the Office – EASY! Cleaning windows in an apartment or office, at first glance, is not the most difficult task. In most cases, getting ready for a big cleaning, usually between dusting and cleaning the office equipment, people begin to clean windows. And we agree with that. Cleaning of office premises, of course, has its own peculiarities and nuances, but we recommend starting with window cleaning. Let in your office more light and sun! Then the rest of the work on cleaning the office will be much faster and better! Our cleaning company provides services on cleaning windows in premises of any type. We qualitatively perform our work in the shortest possible time and at the lowest prices. Moreover, we clean windows not only inside but also outside. No building is too high or wide for us. More information about window cleaning – in Section OFFICE WINDOW CLEANING SERVICE. COMMERCIAL WINDOW CLEANING. But let us return to our task. Before you start cleaning, check the the availability of detergents. Let’s consider the listed tools and equipment in details. To remove dust, we do not recommend using a cloth, but a brush. Or even a paint brush. Wiping the dust with a cloth may leave dirty marks on the glass and frames, which then will leave spots and stains. Best of all is in the beginning to dust off by using a brush and collect the dust with a vacuum cleaner. You can even vacuum the glass and frame – it will be much more effective than using cloths. It does not take much time, but will greatly facilitate the subsequent washing of glass and help to cope with cleaning faster and better. Always use a squeegee for window. It has a rubber blade that effectively cleans dirt from the glass. The main difference of squeegee from the cloth – combined with a good glass cleaner it copes well with fat, so there will be no streaks or blotches or greasy stains. The main thing is to clean the rubber well after each passage. And ensure that the rubber is not worn off and is not deformed. Cloth can also be useful for us, but only for cleaning window frames and making the final gloss on the window glass. Prepare several cloths of soft microfiber. Often, instead of using cloths people use different handy tools. For example, it is recommended to wipe the glass and mirrors with old newspapers. This method has been widely used by our grandmothers in the past, but nowadays it is still better to use modern materials. Moreover, the newsprint, after getting wet, leave dirt on the glass, barely noticeable at first, but later creating a lot of problems. And at the end – a little bit about cleaning agents and detergents. Do not use washing powder or soda for cleaning your windows – due to the abrasive substances in their composition, which can scratch and “wear” window glass. Best of all is to dissolve instead in warm water some ordinary soap and rinse the window glass with this solution. But the best choice is alcohol-based liquids for window washing. As for the efficiency and ability to cope with grease on the glass such means has no equal! And in the conclusion – about the time suitable for washing the windows. It sounds strange, but cloudy cool weather, and not a hot and sunny day, is better for window cleaning. The fact is that in the sun the water used for cleaning dries too quickly – before it is removed. As a result, the stains and unpleasant streaks remain on the glass. Therefore, wait for a cool day, and start a big cleaning in your office. Office deep cleaning is a single or regular set of activities, during which all the necessary works are performed to create a perfect order in the premises in accordance with the priorities of the customer. The deep cleaning of an office space may be required in some cases, such as rearrangement or severe “neglect” of the office premises. It should be noted that the establishment of cleanliness and order in the office often increases working effectiveness and efficiency, serving as a motivating a stimulus for employees. Freshness, gloss and purity of the workspace demonstrate the company’s interest in good working condition of its professionals, so it is important to pay adequate attention to this aspect. In order to determine the frequency of referring to experts, it is necessary to take into account the size of the premises, the amount of equipment, the number of people coming to the office every day, as well as the neatness of the employees. Of course, the latter is sometimes difficult to observe (and one does not exclude the probability of accidents), but sometimes without this point it is hard to determine right how often the deep cleaning should be done in the office. Actions, included in office deep cleaning. • taking out the trash, and much more. • high quality services, which are guaranteed by professional experts. Therefore it is always, and for any company, is more profitable and more rational to refer to specialists who will professionally clean the office within the shortest time. Continuing to talk about office furniture, today’s article will cover some tips from the professionals on how to remove different types of stains from the office furniture. Depending on the “recency” of the stains and their specific nature, some types of stains on upholstered furniture can be removed with the help of the materials at hand. However, if some stains are old ones and highly deep – you will not be able to do anything with them without help of a cleaning company. This is due to the fact that only qualified professionals with modern equipment and appropriate detergents can guarantee you a perfect result. - If the white wine was spilled on the upholstery, we recommend you to put an ice cube on the stain, and then sponge it up with a clean cloth. - Red wine stains are much more difficult to handle. One fact is really important for this process: the stain must be recent. To get rid of such a contamination, try to apply a little bit of salt to it, and afterwards wipe it with a cloth, dampened with soapy water. - Ink stains can be derived by means of conventional acetone or alcohol. To get rid of the strong smell after cleaning, you can simply wipe this section with a gentle detergent. This method will also help you to remove the lipstick stains. - Beer stains are removed with the help of a weak vinegar solution. - To get rid of jam stains, you need to put some soap solution on the contaminated area and lightly sprinkle it with salt. After performing this procedure, you should thoroughly clean and vacuum the surface. - Wax stains can be removed by using the blotting paper and an iron. The wax stain should be ironed through the paper. If at the place of the stain some grease remains, it can be easily removed by a detergent. - Tea sprinkling, chocolate stains are removed by liquid soap, which is easily wiped off with a slightly damp cloth. - Blood stains should be treated as quickly as possible. To remove them use a cloth soaked in cold water. If the stain is very old – only specialists from a cleaning company will be able to help you. - There is one more way to remove ink stains. The following procedures need to be performed: mix baking soda and water, then put the prepared mixture on the stain. To get rid of the traces of this solution, just wipe the surface dry. Our cleaning company strongly recommends you always to pay attention to the composition of cleaning agents. Some chemicals used in such products may significantly harm the appearance of upholstered furniture. If you do not know how to get rid of various stains on the furniture and you want to remove quickly stains of any complexity, to arrange a professional cleaning, please feel free to contact our specialists at the phone numbers indicated on this website. A clean and organized office should be a priority foe every business. Clean environment maximizes productivity and plays an important role for your clients. Our team has prepared several, but very important tips for a clean office. Use as many trashcans in the office as possible. Your customers and employees shouldn’t look for a trashcan, they should be easy to find. Don’t forget to remove trash regularly. If you have a professional cleaning crew, they know that it is one of the priorities. Imagine that you are a client of your company. Look around your office and try to understand what looks not so clean or not so organized. Remember, a clean office is a professional office.